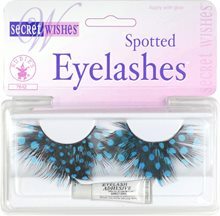 Spotted Eyelash Assortment is black with blue spots.It includes one pair of Eyelash and adhesive.  Liquid Latex Clear Liquid Latex is the material most make-up appliances are made from. 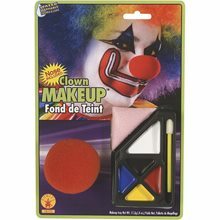 This product is probably the most versatile of all theatrical make-up items. 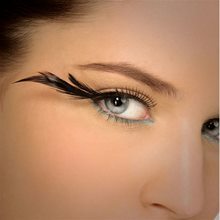 Black Glitter Makeup.Includes: One 0.5oz (14.2g) Black Glitter Gel Makeup Tube. *Costume and Accessories Not Included. 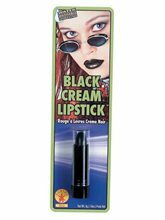 Sold Separately.This Black Glitter Makeup is water Washable. Tp apply, plan a design. Apply to clean , dry skin or hair. 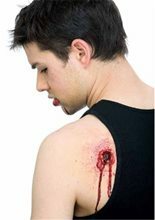 For removal, wash skin with warm soapy water. Shampoo normally. Additional washings may be needed.CAUTION!! 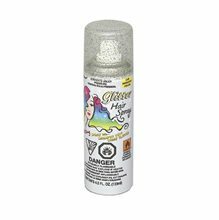 : Do not use glitter directly around eyes or apply to processed hair.Makeup Made in USA. 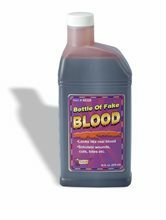 Bottle of Fake Blood.Includes: One 16oz. 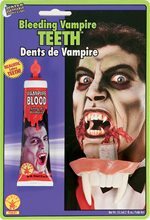 Bottle of Fake Blood.Bottle of fake Blood. 16 oz bottle of blood. For larger bloody events. 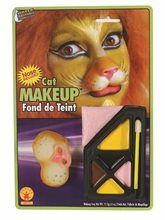 Cat Makeup Kit This boxed kit contains all the professional theatrical make-up needed to create the character indicated.